Freshness is one thing we all want to achieve. That’s why we take a bath everyday, we groom ourselves and of course we brush our teeth regularly. I really think oral care is a topic that has not been touched on frequently compared to skin care and the like. 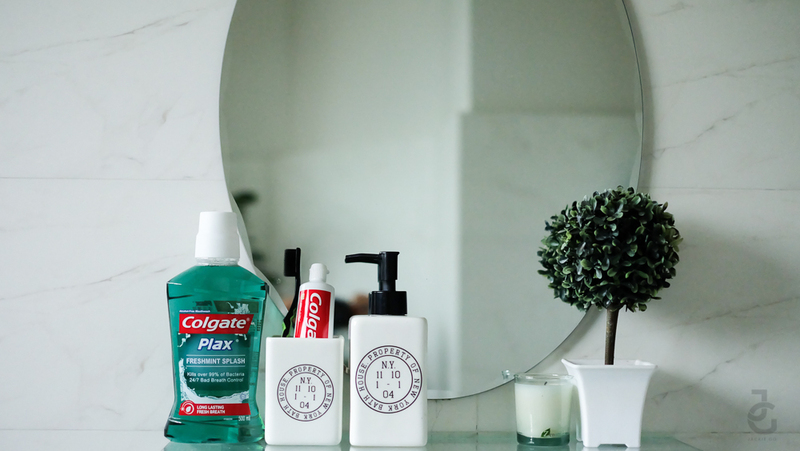 I say this because I’ve had my fair share of oral scare and I’ve been traumatised going to the dentist one too many times when I was younger and it was only when I started blogging that I’ve gotten to know different truths about oral care. Now that I’m older and know better, I keep a simple oral care regimen to keep not only my teeth clean but also my mouth. 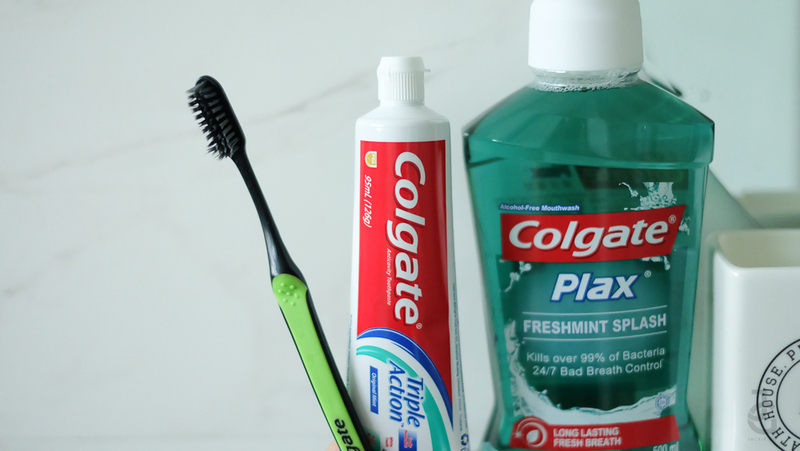 Bad breath, cavities and sensitive teeth are common oral health problems that anyone can get especially those who don’t have good oral care regimen. When food stays in your mouth, in-between teeth, on the tongue and around the gums, it can breed bacteria which can cause bad breath. Same goes for cavities. Tooth decay can start when you eat sugary or starchy food and bacteria acts on these food, producing harmful acids that can lead to cavities. As for sensitive teeth, bacteria build-up can cause many oral health probables which may eventually lead to sensitive teeth. Gum problems & tartar are also caused by bacteria build-up. So to fight bacteria in your mouth, you really have to have an oral care regimen. It’s not gonna cause you so much and it’s not complicated, all you need are the right products and make time to do this everyday. 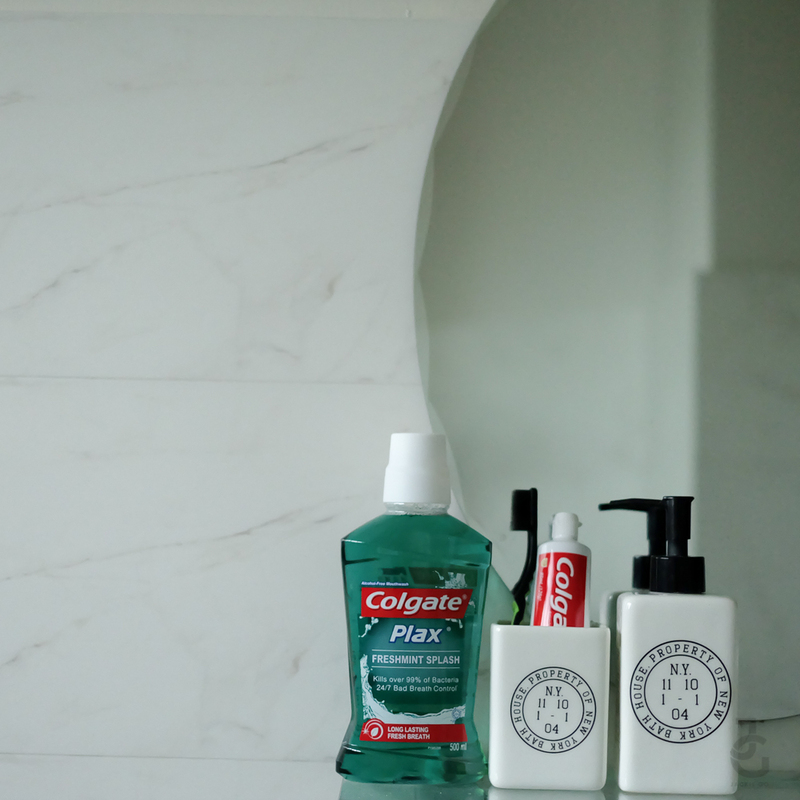 Sharing with you all why these are just some of my favorite Colgate products. Colgate SlimSoft Charcoal Toothbrush is very gentle and cleans along the gumline. I like that the soft bristles clean in between teeth yet is gentle for those like me who use excessive force to brush their teeth. Heehee. Colgate Triple Action is a tri-colored toothpaste with vitamins and provides triple benefits: stronger teeth, whiter teeth and fresher breath. I like how it’s not too minty yet it efficiently cleans teeth. Colgate Plax Fresh Mint Mouthwash reduces bacteria in the mouth, & gives loner lasting fresh breath. I really feel that my oral care regimen isn’t complete with only brushing and flossing. So I rinse with Colgate Plax to reduce plaque build-up in the difficutul to reach surfaces of the teeth. I love Colgate! Gotta keep a spare stash with me when going travelling just in case I can’t find any!